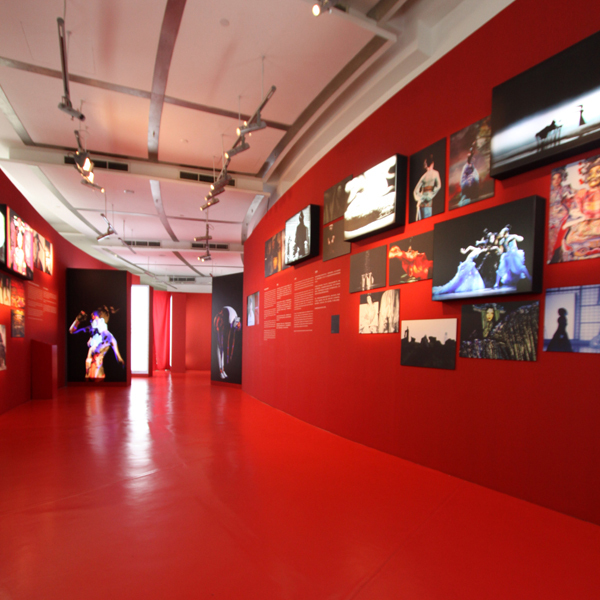 The exhibition space was divided into three connected tunnel-like sections; each marked with a singular colour – white, red or black. 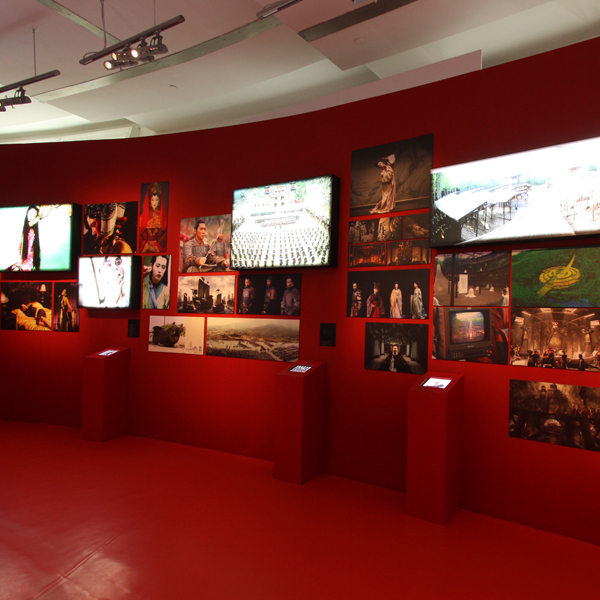 Tim Yip’s retrospective exhibition at the Jendela, Esplanade celebrated his impressive portfolio and creative brilliance with breath-taking photographs and video collages. 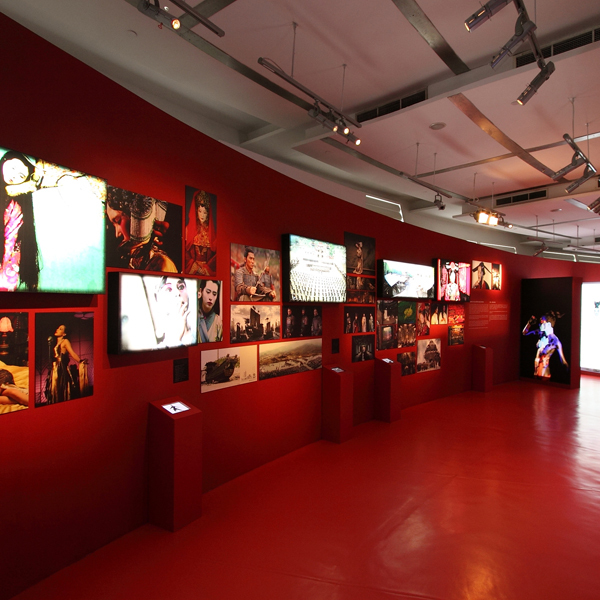 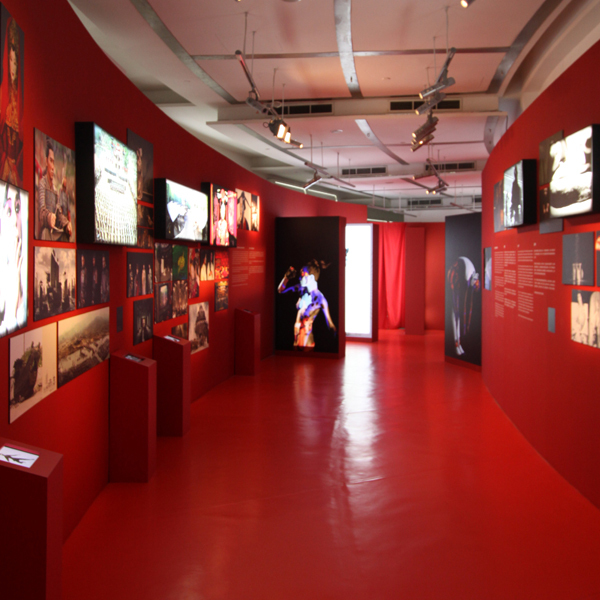 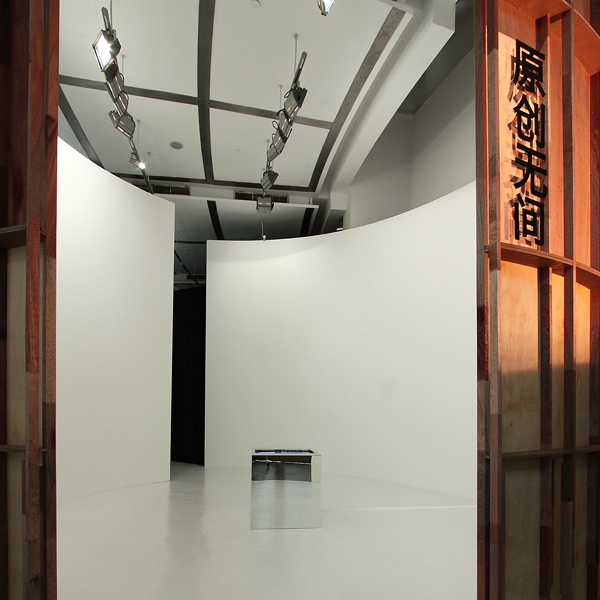 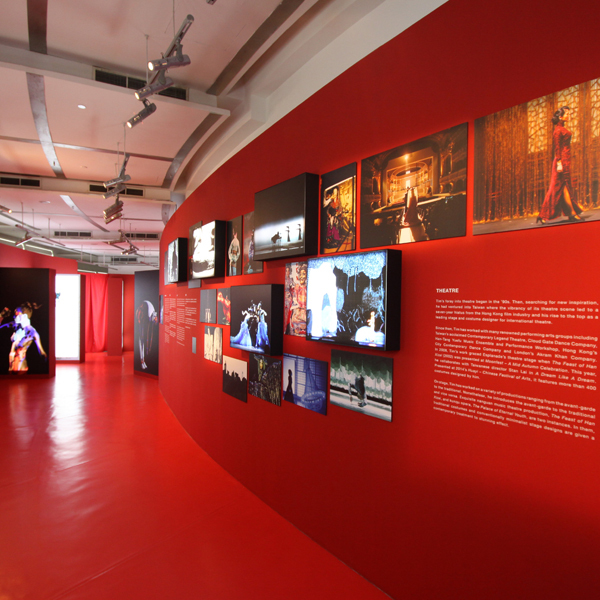 The exhibition space was divided into three connected tunnel-like sections; each marked with a singular colour – white, red or black – used to categorise Yip’s works into different categories. 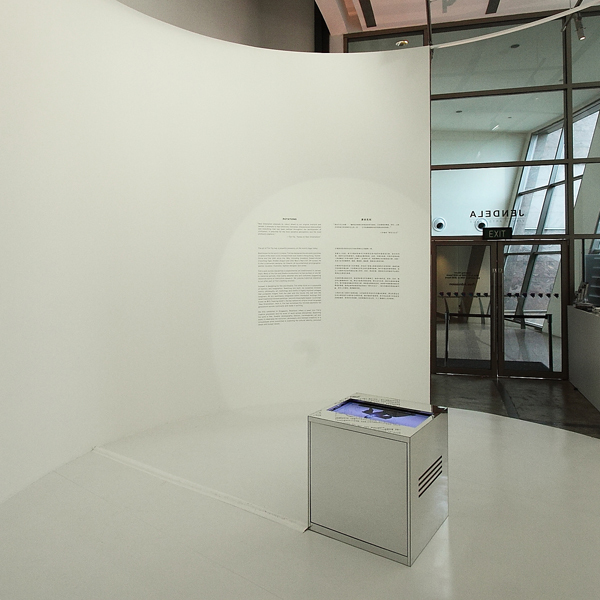 The design for the exhibition catalogue followed suit and was also separated into three parts. 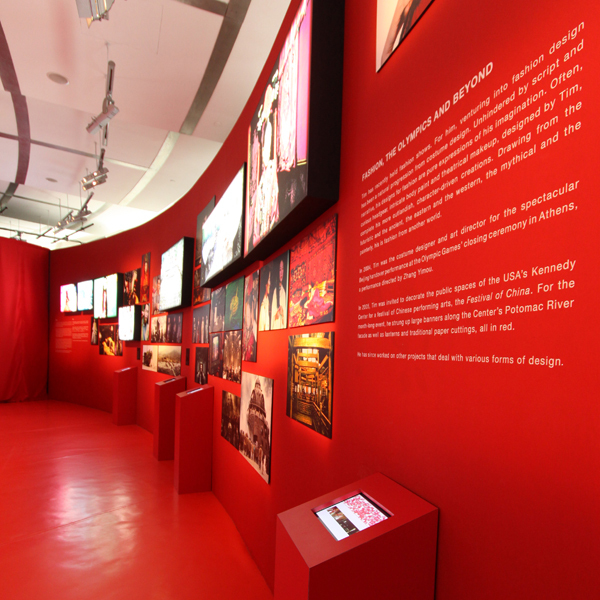 The design strategy was to highlight the designer’s central creative philosophy – “time is always in a flux”. 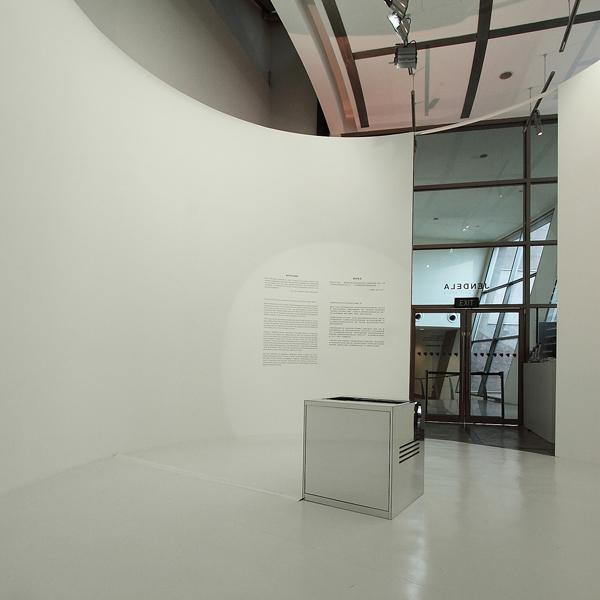 This was represented in both the collage of his works incorporated in the enso circle on the cover of the catalogue as well as the interconnectivity of the three exhibition tunnels.